These are shaped wires in Square, Rectangular or Trapezoidal cross section. 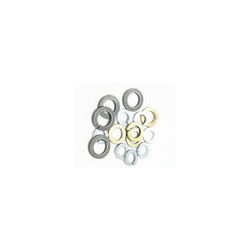 The wires are supplied in Drawn & Annealed finish. These are shaped wires in Square, Rectangular or Trapezoidal cross section manufactured from high carbon steel generally conforming to EN-42B/En-42C. The wires are custom built for the taper required. The wires are supplied in Drawn & Annealed finish. 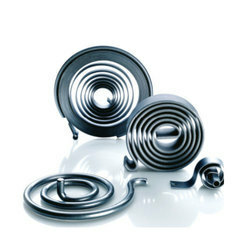 These wires are used in the manufacture of springs, spring washers and snap rings. DESCRIPTION : These wires are shaped wires in Square, Rectangular or Trapezoidal section manufactured from High Carbon steel generally conforming to EN 42 B/EN42 J/ 60-.80 C grade. The wires are custom built for the taper required. Keeping in mind the precise demands of clients, we manufacture and supply a qualitative range of Wires for Spring Washer Industry. Made by experienced technocrats our products are acclaimed for good quality, corrosion resistance and long service life. Our products are available in different ranges as per the demands of clients.